Glenda Glitterpoop Just $27.95! Down From $50! PLUS FREE Shipping! You are here: Home / Great Deals / Amazon Deals / Glenda Glitterpoop Just $27.95! Down From $50! PLUS FREE Shipping! Glenda Glitterpoop is now offered at Amazon for just $27.95 down from $49.99 PLUS FREE shipping! Glenda Glitterpoop looks like the stuff of dreams, but watch out if she’s flying over your head because she let’s loose the stuff of nightmares! Don’t make her angry, or you might get a glittery surprise! Feisty Pets are the latest line of fun and innovative toys from the creative minds at William Mark Corporation- the creators of Air Swimmers! 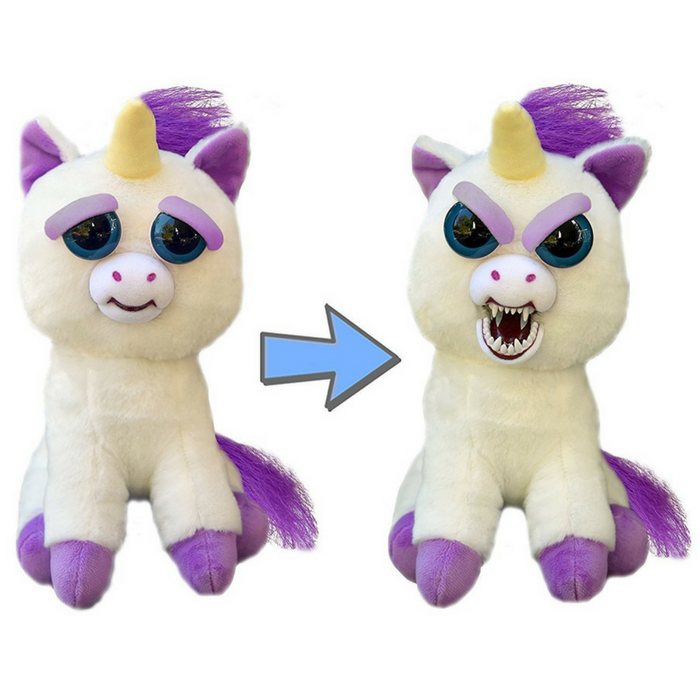 Feisty Pets are a line of plush animals with “stuffed attitude”! Each pet changes expression from cute to ‘feisty’ when you gently squeeze it behind the ears. No batteries or extras necessary. Captivate and entertain any audience, young or old with these unique and animated animals! They’re great to cuddle and play with, but are also perfect for a hilarious and innocent prank on friends and family! Collect each charismatic character! Glenda measures 8.5″ tall and she’s a fast one so catch her quickly!